To evaluate the treatment of hypertrophy of inferior turbinates in patients diagnosed with allergic/non allergic rhinitis with the use of radiofrequency ablation technique. Ablation with radiofrequency was used in this study on the inferior turbinates of 200 patients diagnosed as allergic/non allergic rhinitis at our institution between January 2006 and December 2009. The results were evaluated subjectively by changes in pre and post operative symptoms, size of inferior turbinate, postoperative pain and assessment of ciliary function. Four patients (2%) at the end of 6 months and 4 patients (2%) at the end of 12 months reported persistent symptom of nasal obstruction. No patient reported nasal discharge, 28 patients (14%) at 6 months, 20 patients (10%) at 24 months reported persistence of sneezing. 8 patients (4%) at 6 months, 4 patients (2%) at 24 months reported persistence of snoring, no patient complained of persistence of hyposmia. 4 patients (2%) at 6 months, no patient at 24 months complained of crusting, no patient complained of bleeding at 6, 24 months. No alteration of ciliary function and anatomy of the inferior turbinate mucosa was noticed. 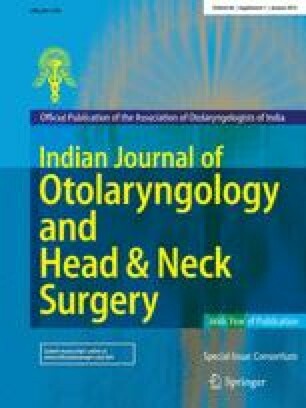 These results suggests that ablation with radiofrequency is an easily applied, efficient and reliable technique in the treatment of hypertrophied inferior turbinate in allergic/non allergic rhinitis patients with no changes in the ciliary function and necrosis/atrophy of inferior turbinate.